Over the past months the world’s most televised (yes more than the Olympics) sporting event, the FIFA Soccer World Cup has been watched by many Americans. 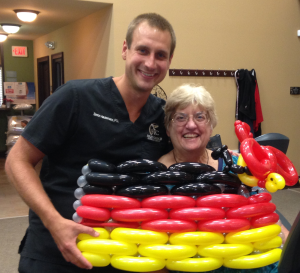 Here at First Choice your Team of Physical Therapists and staff have followed the event closely, mainly because of one crazy German. 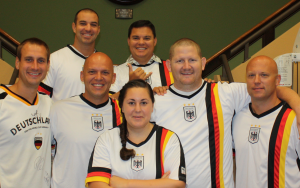 In honor of the German national team winning the World Cup, we turned our Hawaiian shirt Friday into German soccer jersey Friday for this week! We had a great time following the event but most of all we enjoyed how you, our patients got into it and had lots of fun with us. Only at First Choice can you experience first class therapy with lots of fun and laughter at the same time. Come join us next week for your therapy needs and make sure you’re ready for our weekly Hawaiian shirt Friday! !